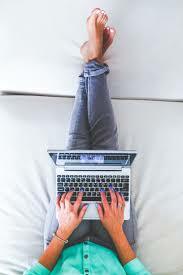 Let Me Share A Simple System For Building Profitable Email Lists & Earning Real Spendable Cash In 30 Days Working As Little As 10 Hours Or Less Each Week. Plus Get Private Label Rights To Resell It! Proven list building methods that work! Unique product to sell with all reseller files included! Launch your own lucrative info product business! Daily action steps to a bigger email list. PLR material created by an Internet marketing guru! If You're Like 99% of the People Who Are Trying to Make Money On the Internet You're Making It Harder Than It Needs To Be...And You Still Aren't Seeing Any Results! Your money worries would be over. You could quit your day job. You'd finally be able to pay off those bills, fix up the house, and maybe even buy a new car. Imagine even spending 20 minutes preparing an email, and then relaxing the rest of the day with your close family and friends. Then think for a moment about how amazing it will be to find your PayPal account or affiliate account loaded with commission payments that came in passively while you were enjoying your day! 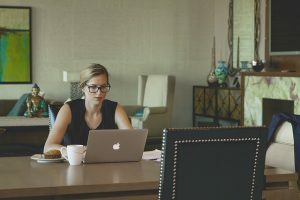 Although the money is nice, the lifestyle that you can enjoy while working from home is the real benefit. I have been fortunate to do this full time since 2007. Maybe you've been thinking about traveling across the country or even abroad on vacation, but your current job doesn't let you do that. When you work online, you can work from just about ANYWHERE in the world ... including all those places on your bucket list. This is the kind of stuff dreams are made of. Or maybe you have other plans. Maybe you'd like to spend more time with your children, family members, and friends. Or perhaps you'd like to devote more time to a favorite hobby. Perhaps you'd even like to do more charitable work in your community. When you run a successful online business, these things become very possible. No more 9-5 grind. No more spending hours snarled up during the rush-hour commute. No more feeling like you're just a ship passing in the night when it comes to your spouse. There are a lot of people who are frustrated with their Internet businesses. They feel like they are spinning their wheels and not really getting any results. They SPEND their money and time on product after product, but don't MAKE any money. And now for the good news: you're about to get the help you need right here with a proven step-by-step system for building a profitable email list that has awarded me this lifestyle, Plus you have a chance to resell this amazing training as if it was your own! 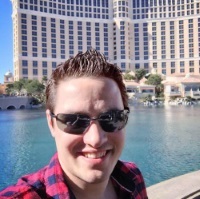 My name is Paul Counts, and I have been earning money online since 2000 at the age of 15 years old! 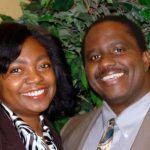 I am bringing to the table 17 years of Internet marketing experience to the table! 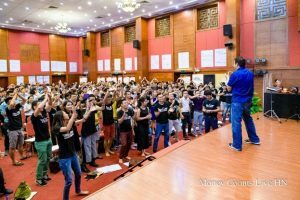 I am also an internationally recognized speaker and trainer, and recently was in Vietnam for a two city speaking tour. where I mainly focused my talks around creating and selling info products. My entire business fits into a backpack so I am ready to go at a moment's notice! I can literally run this info product business from anywhere! 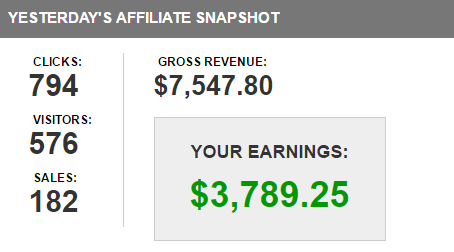 I have Sold Millions of Dollars In Internet Marketing Products (Proof Below) & Now You Can Sell My Newest Info Product As Your Own While Keeping 100% of the Profits! 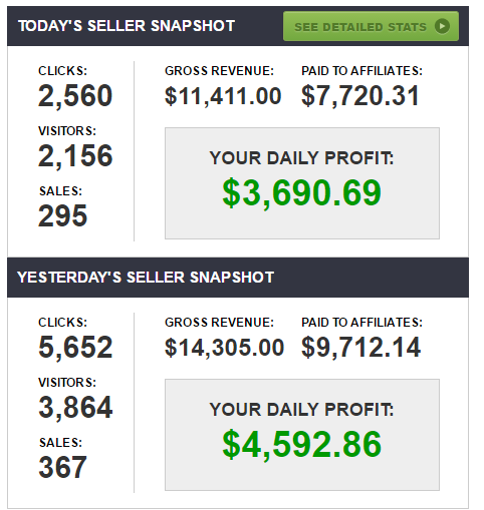 As you can see from the screenshot examples below I have legitimately sold millions of dollars online with info products, so you can rest assured that I know exactly how to create winning info products that you can turn around and sell online. Now You Can Claim Your Own High Quality Product Without The Effort! Introducing: "30 Days To A Bigger Email List"
The Quick and Easy Way for You to Build A Profitable Email List! Forget about being frustrated, and not knowing what step to do next. Don’t worry about getting stuck. Because once you know the list building secrets inside this exciting guide, you’ll never again have to deal with not knowing how to build an email list like the gurus do! 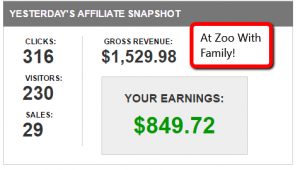 • No more looking at $0 in affiliate sales for the day! • No more hitting your head against the wall! • And never again will you have to deal with struggling to get traffic! Go ahead, imagine how you’ll feel when you finally start to build your email list just like the gurus do. 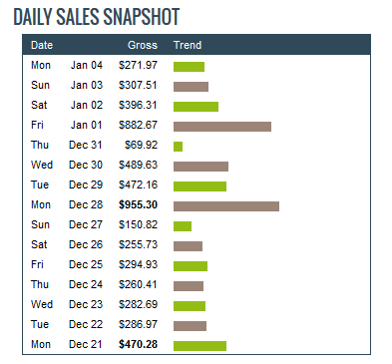 Just imagine coming home to making $100 in commissions or $575 in commissions while you were out having fun. And just think you can finally silence the critics around you that said you were not going to make it with your online business. In as little as 30 Days, you too could have a profitable email list! • At last, you’ll finally discover the TRUTH about list building! • Need to know the best traffic source for list building? Then follow the steps on Day #10 for a simple way to get instant subscribers! • Short on time? Then you’ll love the time-saving trick revealed on Day #18! 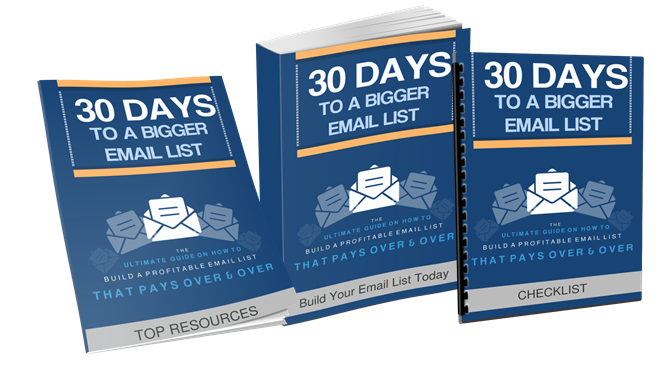 • How to build your list like a professional email marketer – you won’t find these secrets anywhere else! 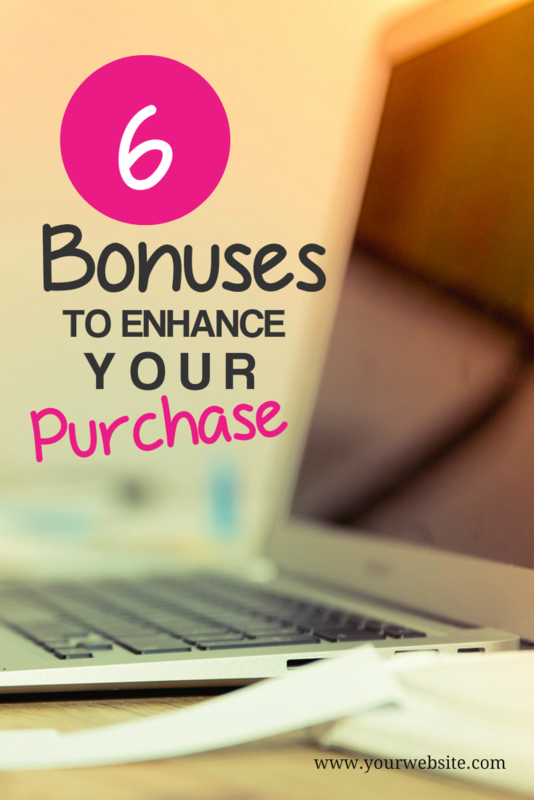 • A surprising trick for getting bonus traffic – no extra effort or money required! • The 30 Day plan to a bigger email list! Simply follow each day's task! • A simple little way to generate easy exposure for your business online! • The quick and dirty way to start building an email list from scratch – you’ll wish you had thought of these methods years ago! By the time you flip the final page of this exciting list building ebook, you'll feel like you have a PhD in list building – and at last, you’ll finally have everything you need to have your own email list of hungry buyers! Listen, if you’re looking for some rehashed theory or a pile of fairy dust, this isn’t it. But if you’re looking for a surefire way to add subscribers to your list, then this is the info product for you! With the PLR you get this purchase is a no-brainer! You Get These 8 Components With Your Purchase Today! 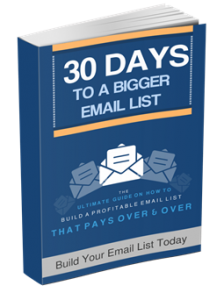 This 5,000+ page ebook lays out a 30 day action plan with daily tasks so you can grow a profitable email list! Get a quick overview of the system, and refer to this as you follow the steps! Generate backend affiliate commissions by recommending important email marketing services such as autoresponders, page builders, web hosting, and more! Get professionally written sales copy by me to sell this amazing product as quick as possible! Use these swipe emails to help you recruit affiliates for your product launch! Get access to the same ecovers and professional graphics needed to help you sell this! Use this squeeze page template to start building your own list up, and to presell this offer! Get a professionally written by me report called: “Top 5 Simple Ways To Build Your Email List”. Use this to build your list. Training on effectively building an email list: This is important because you will learn a highly scalable business model that can have a huge payoff for you. Every step that I take whenever I build my email lists! Nothing is left out! A proven business model that you can duplicate over and over again for massive profits online. You get PLR to a massive course on Google Adsense! 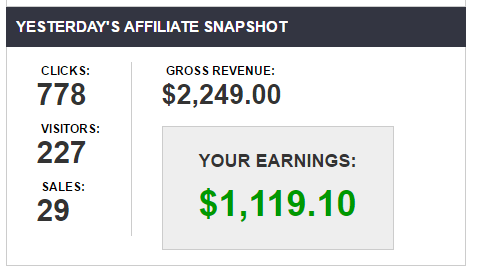 This is a step-by-step program on how to earn money with Google Adsense. "30 Days To A Bigger Email List"
This is a ready to go in demand info product that you can sell immediately! You will discover training on building highly profitable email lists! All content is covered in an easy to read and follow format. When You Secure Your Copy of "30 Days To A Bigger Email List" PLR Package Today, You'll Get a Total Value of Over $2,281 For ONE LOW PRICE! I'm truly excited for you to get started with this "30 Days To A Bigger Email List" package. P.S. You could skip over this offer, but then you'll stay right where you are now. Let me help you get out of the rut you've been in. Start achieving the results you deserve right now. Grab "30 Days To A Bigger List" by clicking the buy button above.